"I like to add chopped mushrooms to lean meats, such as bison, when making burgers - it helps keep the patties moist and delicious. 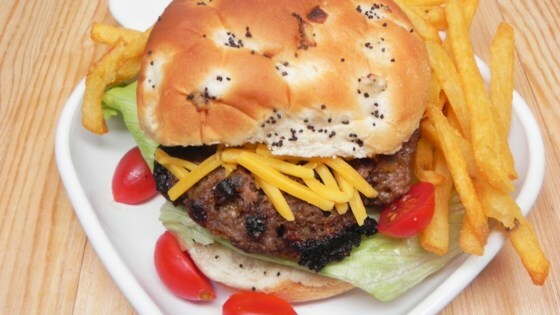 For even more flavor, I add some onions, Cheddar cheese, and a touch of smoky spice to make these burgers complete." Combine bison, cumin, oregano, thyme, and chipotle in a bowl. Add mushrooms, Cheddar cheese, and onion; mix until well distributed. Season with salt and pepper. Divide mixture evenly into 4 sections and shape into patties. Place patties on grill and reduce heat slightly. Grill until browned, 3 to 4 minutes. Flip over and grill until other side is browned, 3 to 4 minutes more. Serve on toasted whole wheat buns. You can also cook the patties on a stovetop.